A complete working hunter brush fence. The filler stands in front of the pole jump as shown above. Picture right shows the reverse of the jump. The height of the filler below is the size of the timber frame with the birch adding an approximate 15cm. 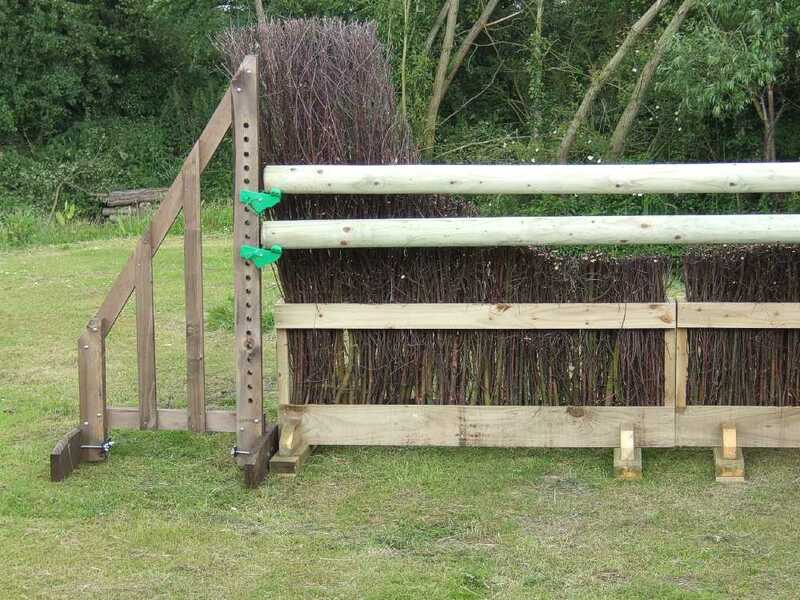 1pr 1.7m Sloping club wings track fitted, 1 of 45cm Horseshoe brush fillers, 2 of 3m Natural rustic poles, 2prs Vario cups.